A graduate in Botany, Nithya Venkat enjoys writing about plants that help sustain life on planet Earth. Oak trees belong to the genus Quercus originating from the beech family that is also known as Fagaceae. 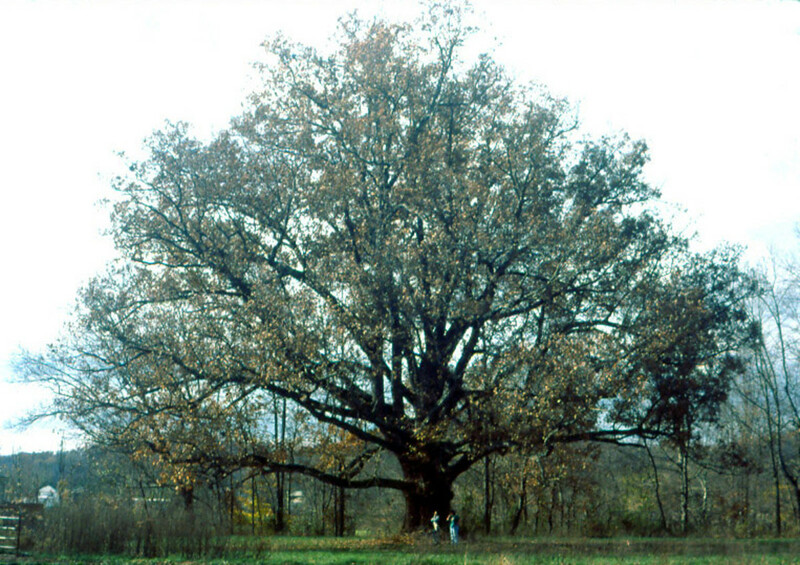 The genus Quercus has about 600 species of oaks. Oak trees are mostly deciduous except a few oak trees that are evergreen. They are tall and have a thick trunk. Scrub oaks do not grow very tall and have a thin network of branches. Oak trees can grow well in temperate and tropical climates and are found in regions of Asia and North America. This article will deal with the characteristics of the three main types of oak trees - White Oak, Red Oak, and the Black Oak. The White Oak tree also known as Quercus alba is native to North America. White oak trees can also be found growing in regions of Europe, Asia, and North Africa. White oaks are deciduous or evergreen trees. The bark of the white oak tree is light gray and scaly. They are enormous trees that have thick trunks with crowns that are irregular in shape. The branches of these trees easily spread over a vast area. The crowns of white oaks are pyramid shape when they are young but become broad and irregular as they age. The height of white oaks ranges from 60 feet – 100 feet in height. 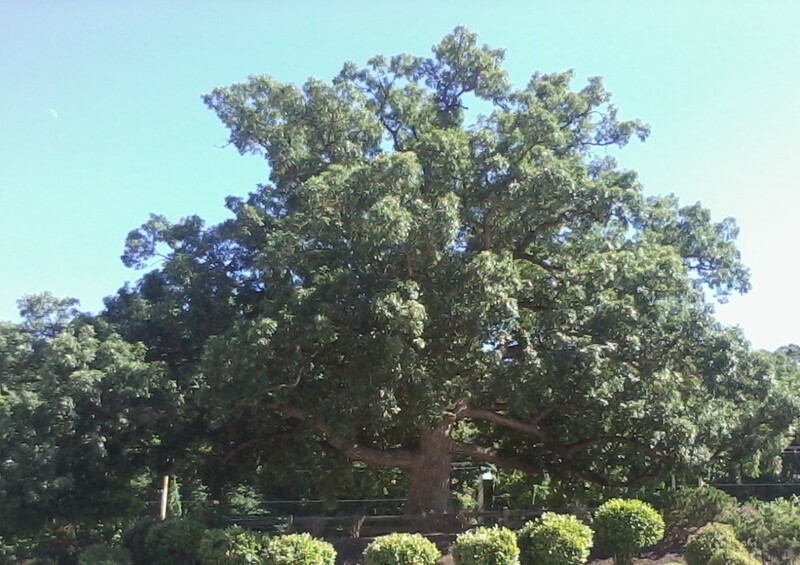 The trunk of the white oak tree can grow up to 4 feet in width. Apart from the forest region, white oaks can be found growing near lakes, ponds, and streams. The leaves of the white oak tree have 5 - 9 rounded lobes and are about 4 - 9 inches long. The leaves of white oak trees turn red or brown during fall. The White Oak trees provide shelter for many small animals in winter because the leaves often stay on even after they are dead and fall off during early spring. The male flowers are greenish yellow in color and arranged in the form of catkins. The female flowers are small reddish spikes. 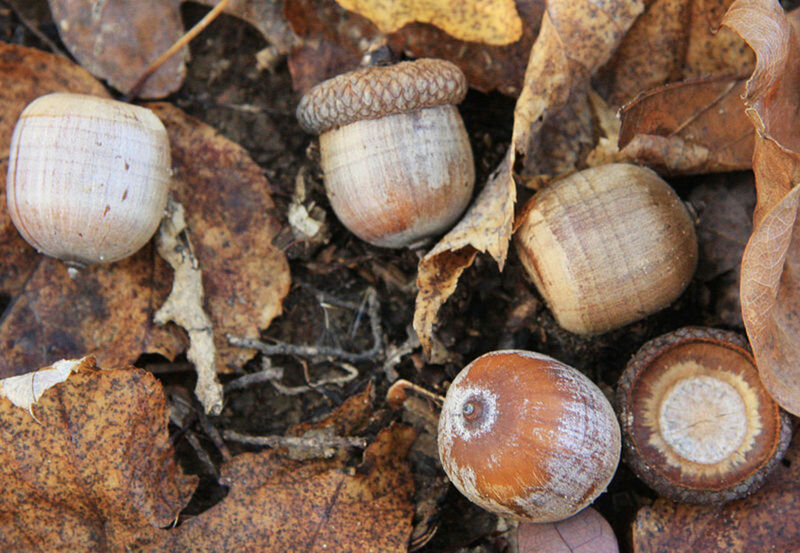 The acorns of the white oaks are about an inch long and have a warty cap that covers only the top quarter of the corn. The white oaks have a smooth, shiny bark with a tinge of purple. The Red Oak tree is also known as Quercus rubra and the Champion Oak Tree. Red Oaks are tall, sturdy trees. 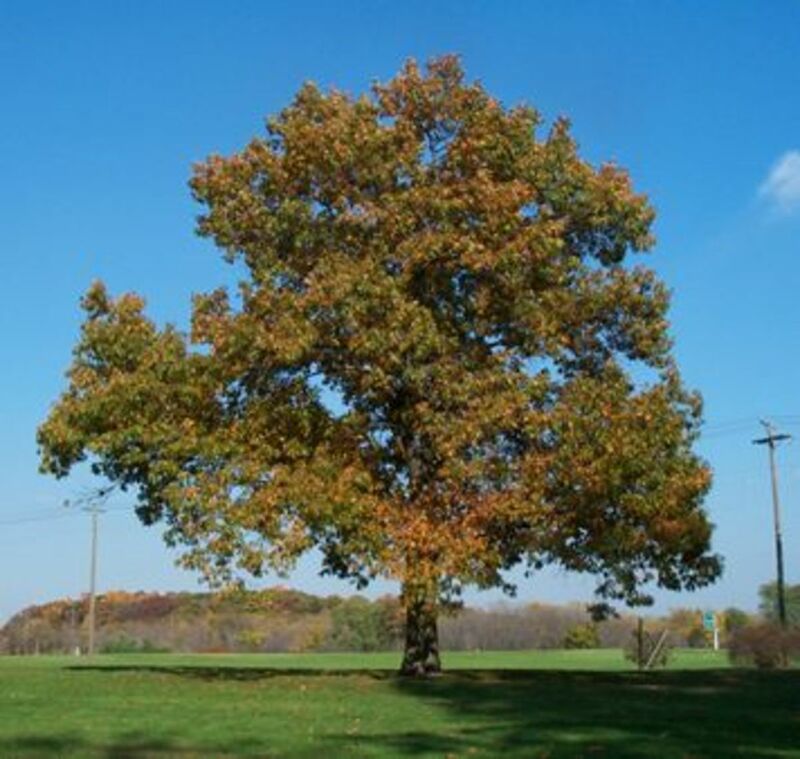 The height of the red oaks can range from 50 - 80 feet and have a width ranging from 2- 3 feet. The bark of mature trees are dark reddish-brown in color and are broken up into wide ridges that have a flat top. 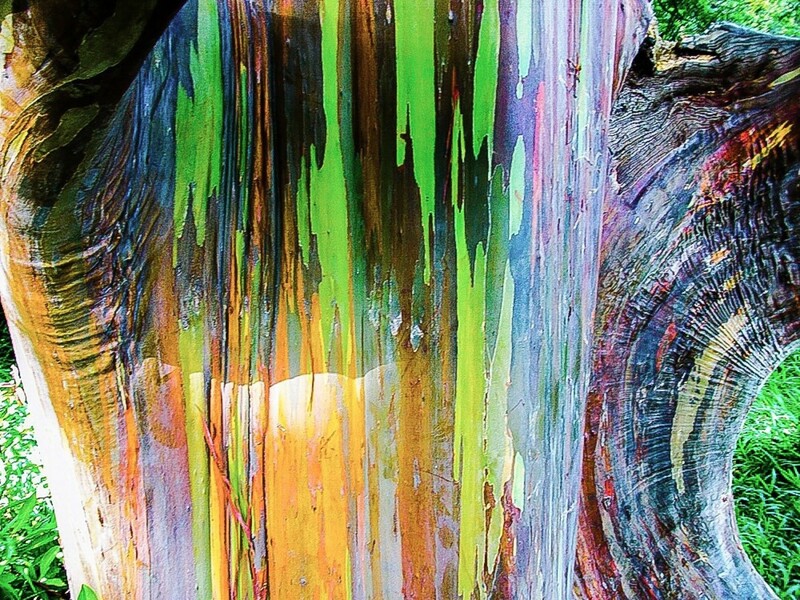 The bark of old trees can become deeply ridged and furrowed as they age. A unique feature of the bark of the Red Oak tree is that it has a shiny stripe at the center that extends throughout the length of the main trunk. The Red Oak trees have stout branches arranged at right angles to the main stem. The twigs of the oak trees are thick, reddish to greenish brown in color without hairs. The winter buds are found clustered at the end of the twigs. The leaves of the oak tree are simple and arranged in an alternate pattern on the twig. The leaves have about 7 – 11 pointed lobes and are 5 – 9 inches long. They have bristles on the edges of the lobes. The upper surface of the leaf are dull green and the lower surface of the leaf is pale green. A single tree produces both male and female flowers. The male flowers are arranged in the form of drooping catkins and are yellowish green in color. Female flowers are ovoid in shape and tiny. The blooming period occurs during mid to late spring. The acorns of the Red Oak trees mature in two growing seasons. 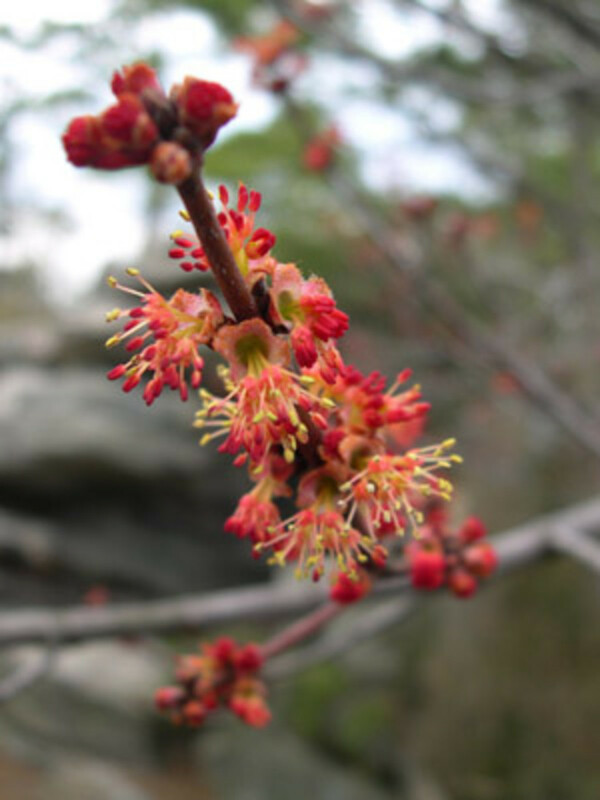 After pollination, the acorns of the red oak take about two years to develop. They are large, broad and rounded with a shallow, saucer-shaped cap. Red Oak trees grow well in moist, well-drained slopes. During fall, the leaves change colors ranging from red, orange-red to a deep reddish brown. The wood of the red oak is thick and sturdy but it less durable when compared to white oak trees. 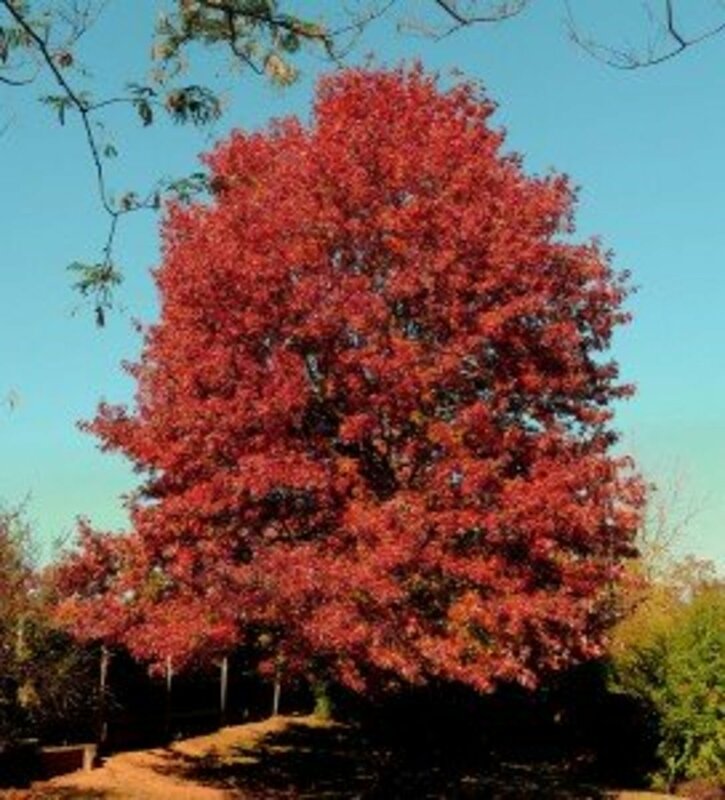 Red Oaks are great trees for landscaping purposes because they grow fast and can adapt to the growing site quickly. Black Oak trees are smooth and gray in color. 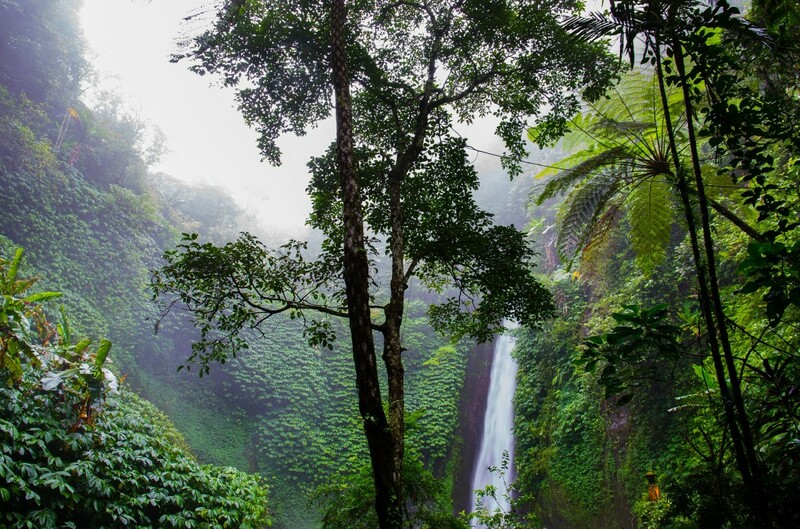 They can grow to a height of 80 feet, but the trunk of the tree is tiny when compared to the height of the tree, measuring about 2 – 2 ½ feet in width. The inner bark of the black oak tree is an orange-yellow in color. 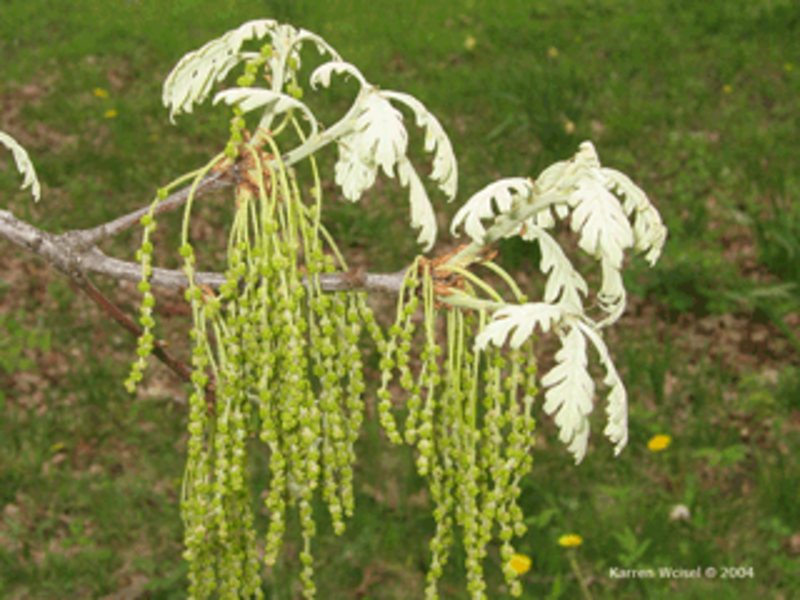 Leaves of the Black Oak tree are lobed and are 4 – 8 inches long. They have about 7 – 9 lobes that are pointed with bristles at the end. The upper surface of the leaf has a shiny green color, and the lower surface has a pale green color. The leaves of the black oak turn a color of bright red in the fall. The Black Oak flowers during spring from mid-May. The male and female flowers are borne on the same plant. 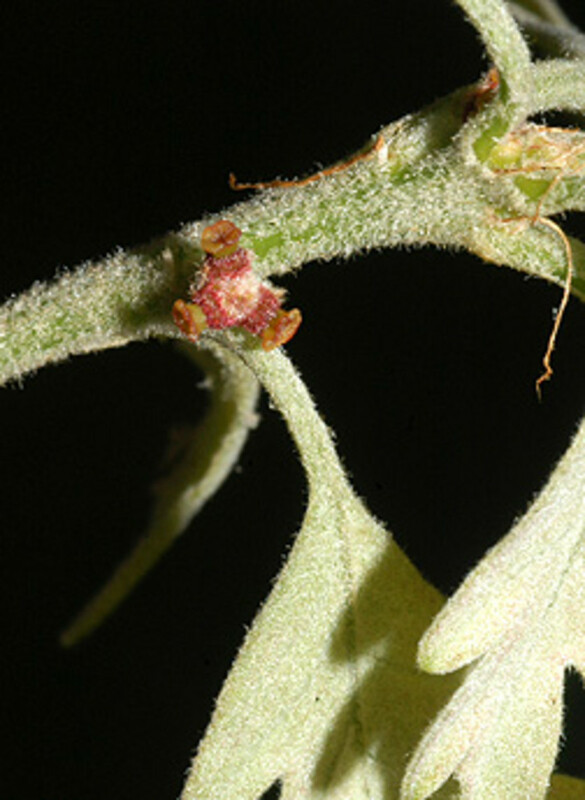 The male flowers are greenish-red in color and appear at the axil of the leaves of the previous year, and the female flowers appear at the axil of the leaves of the current year. 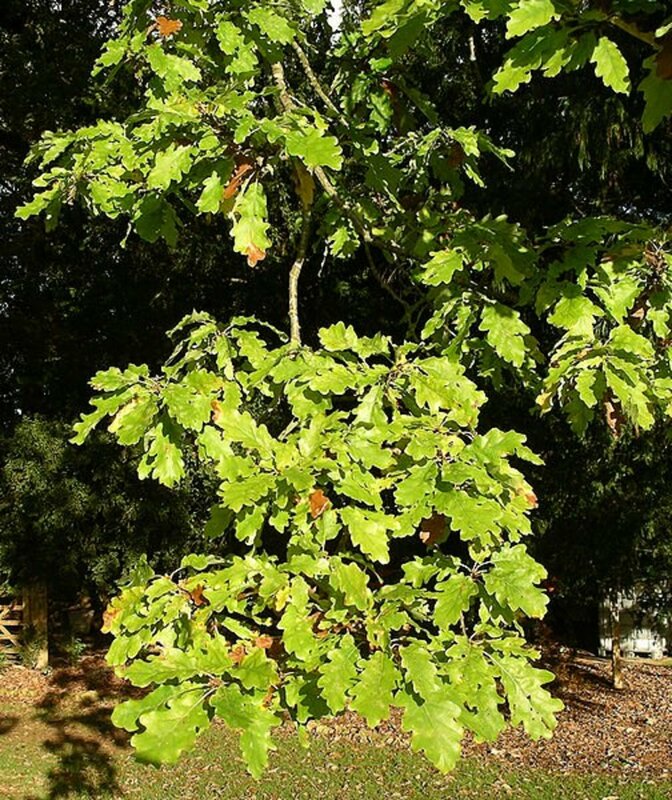 The acorns of the black oak tree are about ¾ inch long and take about two years to mature and start growing. Acorns are rich in protein, carbohydrates, fats and minerals such as calcium, phosphorous and potassium. The nutrient content in acorns differs across species. Birds and animals consume acorns. Mammals such as pigs, bears, and deer consume a lot of acorns. Oak trees are highly valued. In recent times, oak woodlands are on the decline. Conservation of oak trees is necessary to sustain wildlife in the forest and maintain a balance of nature's ecosystem. How fast do oak trees grow? What kind of soil, acidic or alkaline, does red oak need? Red oak grows in acidic soil with pH ranging between 4-7. What is the taproot system? The taproot is the main root that emerges from the embryonic radicle during germination. This root is the main root that grows deep into the soil. Secondary roots develop from the main root that in turn grows tertiary roots. i am doing a project on oak trees can you tell me how the food source changes during each season? 8 months ago from Port Harcourt, Rivers State, NIGERIA. Hi, Nithya, I've heard about the Oak tree that it is tall from an American. 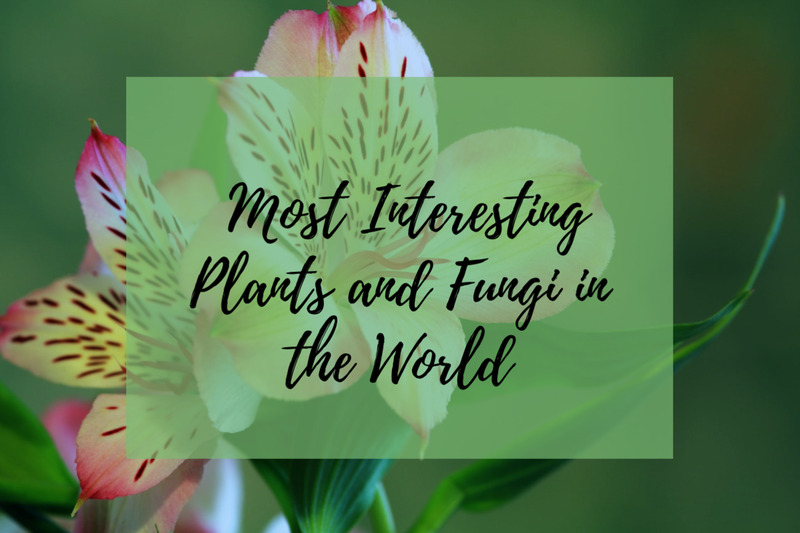 But here I get to know more: trunk, branch, flowers, seeds for food, types, and much. I think the Oak is not a tree grown in my country Nigeria. I read the story with pleasure and understanding, because I am consumed by science. Thank you. aesta1 yes they look lovely when they turn colors. Canada is a great place to live, thank you for stopping by. We have lots of oak trees around us but we are careful they don't really grow close to our roof or we'll never get sleep from the constant noise of falling acorns. They are lovely when the leaves turn yellow in the Fall. American_Choices thank you and am glad my hub was of help to you. I have a business associate who runs one of the world's most successful food companies. He is also a collector of trees. I asked him his favorite tree and he stated the white oak. He has white oak flooring in one of his studies also. I had no idea what he was talking about. 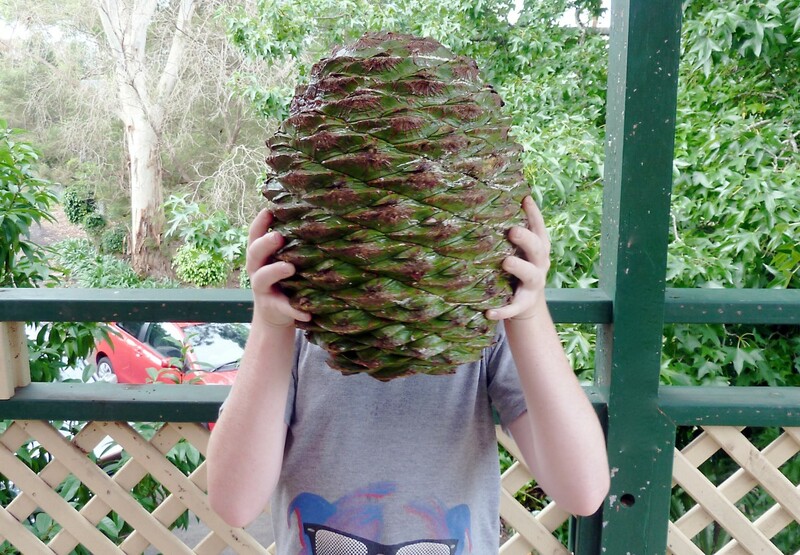 As an avid gardener I have been meaning to take up a closer study of trees. You provide a great start and this hub will serve me well - I will be sure to return. DeborahNehyens thank you for stopping by and it must be great to have oak trees around. I love oak trees. 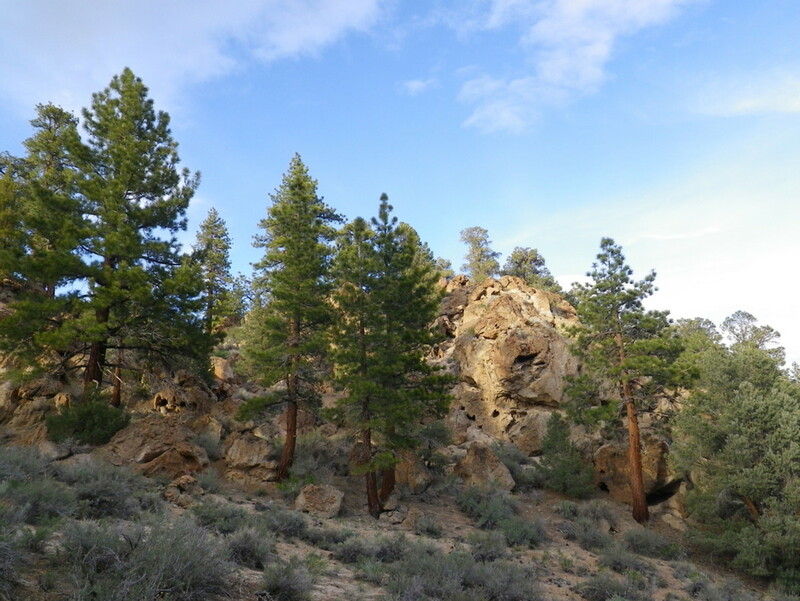 I have several on my property - some old ones that must have been here for years, plus a few young ones that we planted after we built our house. Pamella99 thank you and am glad you learned several things from reading my hub. Thank you for the vote ups too, much appreciated. This is a very interesting hub and I learned several things about the oak trees. I especially love the red oak. Voted up, interesting and beautiful. rajan jolly thank you for reading and yes the red oak is really beautiful. FlourishAnyway thank you, oak trees are beautiful to watch. A true symbol of strength. I love oaks as they always invite lots of squirrels, and the deer also feed off the acorns. I sure love watching their leaves change colors in the fall. Oak trees are beautiful especially the red oak. Thanks for sharing this info on the different types of oaks. teaches12345 thank you for your visit and leaving a comment. much appreciated. I love the red oak photo. How beautiful! I have always admired the oak tree above all others for its strength and shade. Thanks for the lovely article. DDE thank you for reading and the many vote ups. Oak trees are create such beauty to many gardens. Voted up, interesting and useful. ChitrangadaSharan thank you for reading. There are many oak tree species and all are amazingly beautiful! Thanks for the vote up too. Wonderful and informative hub about Oak tree! I am familiar with white Oak tree, but I had no idea about other varieties. And the other facts you mentioned above are quite interesting. Thanks for sharing this well researched hub! Voted up! mary615 am linking mine to yours too. Good Morning, Vellur. Thanks for allowing me to link this Hub into mine. mary615 thank you for reading and yes please do link with my hub. Your wish is very noble, you have a big kind heart. tobusiness thank you, it is sad that they are on the decline and I do hope Britain comes up with a solution quickly. tillsontitan thank you for reading and the many vote ups. suzettenaples thank you and yes oak trees are so very beautiful! Very interesting and informative article on oak trees. I had no idea until reading this that there are evergreen oak trees. That is news to me. I enjoyed reading this and learning of some of the varieties of oak trees. They are beautiful. Another brilliant hub about trees! I had never heard of the red oak but imagine it is a magnificent tree. So much information as always and fun to read and learn. A very informative hub. There is something special about oak trees, especially the very old ones. Sad to learn that they are on the decline. I'm aware that Britain do have an ongoing problem with dieback disorder. I hope we'll find ways of saving those wonderful trees. Great hub. We don't have many of these majestic Oaks here in S. Florida. I did plant a Silk Oak once in a one gallon can and it grew into a huge tree! I had no idea it would grow that fast and tall. I have a wish to be recycled as an Oak tree after death! Yes, you read that right. There is an recyclable urn that is made with an oak tree seed, and it will actually sprout and grow into a tree after it is placed in the earth with cremains. I wrote a Hub about that. May I link this Hub into mine? Voted UP, etc. and will share. Faith Reaper oak trees are majestic and great to have in the back yard. Thank you for reading, the tweet, pin and share. Gypsy Rose Lee thank you, it must be great to have an oak tree in your garden and Oak Henry must be awesome! Thank you for reading and passing it on. Voted up and interesting. I don't know what kind of oak we have but the oak gives us energy and a good feeling. At the back of our garden I fondly call out oak Henry. He is tall and majestic but you mentioned the types and I'm not sure which he is but he does have a thick trunk and plenty of acorns. That was why this was of particular interest to me. We're in Latvia and we also have very large old oaks that have survived centuries. Passing this on. Oh, I love oak trees, and we have many here in southern USA. However, I was not aware of the many variety, and I realized I have the Black Oak trees in my yard. We have so many acorns all over the place. The trees in my yards do have a small trunk, so I did not think they were oak trees. I will have to look at the leaves more closely to be sure about which oak they are truly. always exploring it must be great to have black oak trees in your front yard but a lot of work too. Will pray for strong gusts of wind to blow all the fallen leaves away!! Thank you for stopping by. Nell Rose thank you for reading, have a great weekend. Thanks for the vote and share, much appreciated. Buildreps thank you and yes white oaks are the most common. billybuc thank you for your visit. travmaj thank you and you are so lucky to have an oak tree in your garden! 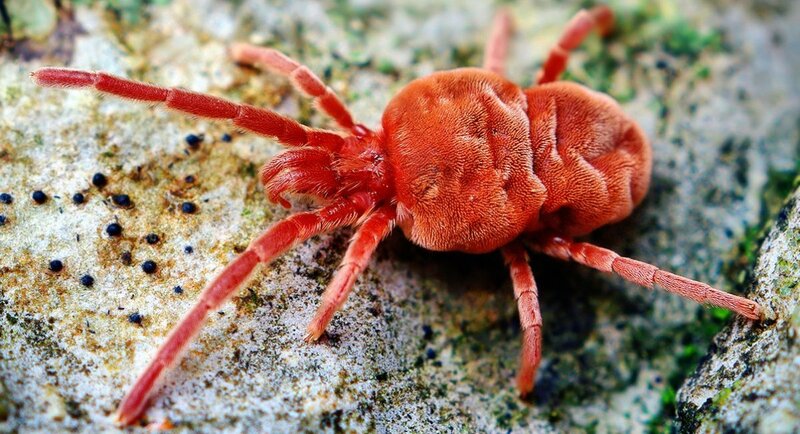 Australia is a lovely place! Interesting for sure, my friend. Thanks for the education. Now I need to go clean the house for our Thanksgiving company. Very interesting article about oaks. I never knew there so many oaks. It appears to me that the white oak is the common. The black and red oaks are new to me. The leaves of the black oak look similar to that of a European holly. Thanks for the nice information.